Our next ‘Hot Food Friday’ is on 6th July and will involve Sebastian’s Butchery joining us to serve up rolls filled with their delicious 24 hr braised Ox Cheek, cooked in our Wybar Amber Ale, accompanied by homemade spicy relish and coleslaw. A vegan, gluten free option of chickpea, squash and coconut curry will also be available. 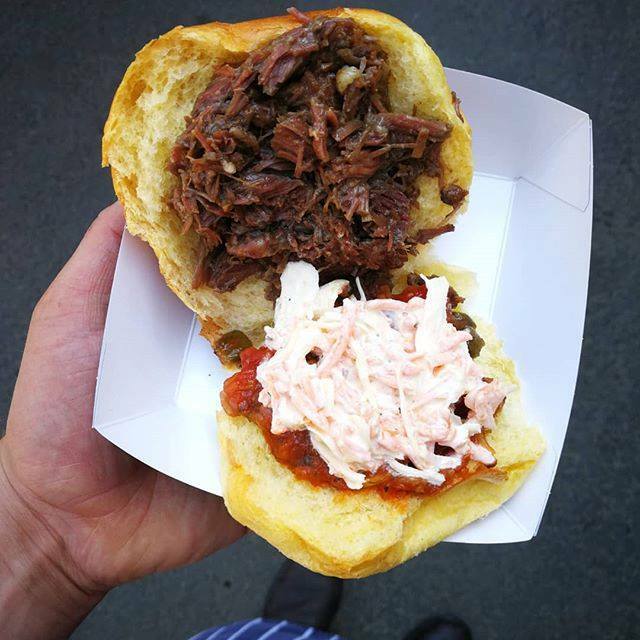 Sebastian delivered us a sample of the braised Ox cheek a couple of weeks ago and everyone working at the brewery that day thought it was amazing, so we can’t wait to have some more on 6th July! Sebastian will be serving food from when we open at 4:30pm and we hope you’ll be able to join us. ⟵£500 raised for Prostate Cancer UK – BIG Thank You!